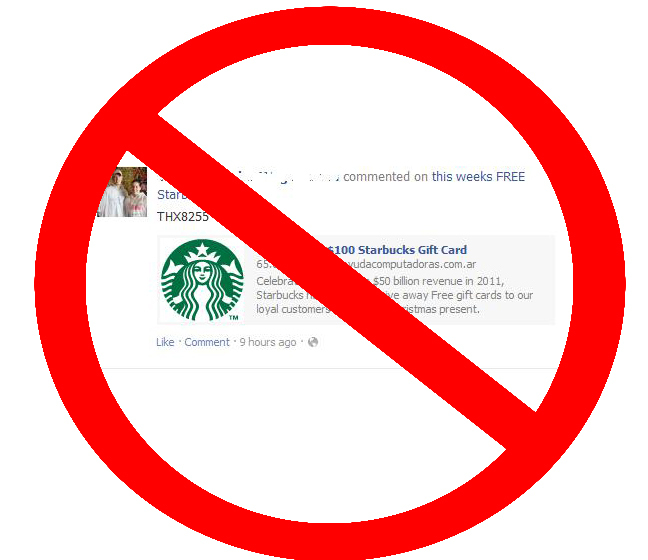 Emails and Facebook posts claim that Starbucks is giving away free gift cards and instruct users to click a link to claim their prize. The message is not a legitimate offer and is not from Starbucks. It is a scam designed to trick users into first spamming their Facebook friends and then participating in bogus surveys that try to trick people into submitting personal information or signing up for expensive “services”. Those who participate will never receive the promised gift card.